Plus the prices are really not bad for nails-home service! Check it out! In the open now; GAYS in Kuwait! Well clearly it’s a typo/misprint… they meant for it to read their brother or so! I thought it was funny! This was one chaotic Miss Universe! 2. Riyo Mori, Miss Japan 2007 who was crowned Miss Universe slipped off her headpieace (valued at $250,000) when Miss Universe 2006 Zuleyka Rivera of Puerto Rico crowned her. 4. Hours before the pageant began, dozens of protesters held a mock ceremony in downtown Mexico City that featured "Miss Marijuana," "Miss Sexual Health," "Miss Human Rights" and other candidates with obscenities written across their sashes. The group yelled "Neither ugly nor beautiful, should a woman be considered an object!" I received this by email this morning, and posted it in here for you. I kinda agree with their parking rule. It would look funny pushing a cart through the mall! Not a very nice sight! But the problem is that they should have announced that or showed it in signs or even let some of their people tell the shoppers about the parking issue. People have the right to know about all this before making their purchases! I know that the Avenues parking area have designated places for carts.. and when I saw that I knew it was for Carrefour. I think they just dont want people to walk around the mall with carts, unload and leave the carts all over the parking lot!! It would look hideous! Like in Souk Sharq (Sharq Mall), you never see customers strolling around with Sultan Center carts! Right? I foolishly visited the new Carrefour Hypermarket on Friday and was confronted with a titan of a problem. After I bought my groceries, I was told that it is forbidden to put my groceries in a shopping cart and take them to my car that was parked in Area C. Carrefour only opened on Tuesday — but how could they open without informing customers that all of the bags of food that they purchase must be hand carried out of the Mall entry and not transported in the cart that one pushes around their store? When shoppers park their cars in the Avenues Mall parking areas and go inside to shop at the Mall’s merchants and end their shopping at the grocery store, those same shoppers are told that they are forbidden to push their groceries back to their cars past the same Mall shops they just visited on their way to buy groceries. To successfully take one’s groceries out ina cart, one must park only in a special area under Carrefour. If this sounds absurd and confusing, it is because this is absurd and confusing. What Carrefour has failed to announce is that Carrefour shoppers are not allowed to take their carts of groceries through the Mall. Once one has purchased their food items at Carrefour no one is allowed to take the cart into theMall to shop at any other store, to look into any shop window or to sit in the food court. The cart of groceries can only do down to the parking area under Carrefour. How does one find this special Carrefour parking? I was there and I looked. I did not see any markings or directions into this special Carrefour parking. Carrefour published a two-page ad showing the locationof their store but not the location of their special parking. If one knows to park in this special area, then shopping carts can only go up or down from the store. Carrefour shoppers must keep their filled carts inside Carrefour and not take them into the Mall. After being forbidden to take my cart of groceries to my car, I was shown this special parking where I could take the shopping cart — but no one could show me how to get the cart back to my car in Parking Area C. When shoppers go from shop to shop in the Avenues and then end up at Carrefour to buy their groceries – the customers are told, “Customers at the Avenues are forbidden to push their grocery carts past the Mall stores that they have just visited on their way to buy groceries.” I received this message from a Maraffie security agent, Anwar Hussein, who was standing at Carrefour’s Mall entry and forbidding customers fromtaking their carts of groceries to their cars in parking areas all around the Mall. This same message was confirmed by the management at Carrefour. But, no one bothered to post this ridiculous announcement forcustomers to read. It would have been wiser to tell customers entering Carrefour’s Mall entry that their purchases must be hand carried into the Mall. Maraffie Security personnel are not proactive in announcing this prohibition to shoppers as they enter the Carrefour. To ascertain this unwritten rule, one would have to be a mind reader and mind readers are not permitted in Kuwait. Because I am not a mind reader, I am curiousas to where this special information has been posted for customers? I have shopped at Carrefour in other countries and I have never encountered such a lack of planning and lack of customer information. This lack of planning in Kuwait has created a titanic problem for Carrefour –but Carrefour needs to remember that no one wanted to be a repeat customer on the Titanic. Because this was my first visit – why should I ever return to Carrefour, or to any merchant in the Avenues Mall, when they show such a rude disregard for their customers? Wouldn’t it be easier to build a big wall to separate Carrefour from the rest of the Mall shops? The wall would effectively let any customer or family who pushes a cart of groceries, that they are forbidden to pass by or spend money at other Mall merchants as long as they are pushing that forbidden cart. Avenues Mall is there to enforce rules which discourage customers from spending and to limit their access and freedom of movement. Have you seen the new McDonalds Ad? It is kinda disgusting! I know I know.. they are showing us how fresh the food is.. but I just dont want to see it this way! The meat gotta be the worst part! It is so hmmm! I still cant find the word to describe it. I mean I love cooking and I dont mind looking at red raw meat (I eat raw food - sushi lol).. but come on! Since that commercial.. I dont remember the last time I ate McDonalds... Not that I am a big fan or anything, but I know for a fact that there are a lot of people that would agree with me on this. And the farmer is so dirty! Why? I know working in a farm means having dirt on your clothes.. but ewe! It looks like he dropped his coffee on him and didnt bother to change.. I was in the elevator with my sister talking and chatting in Al Fanar last night (going to see Pirates of the Caribbean), when a guy joined in before we reached our floor. We stopped talking... I stood on one end facing my sister.. The minute I made eye contact with her, I started giggling.. and so did she.. the giggle turned into laughter! Poor guy! He was just a normal chubby guy, wearing sunglasses... nothing out of the ordinary! But I just cant help being in a quiet elevator! Does this ever happen to you? It happens to me a lot.. even at work, when in the elevator and it becomes quiet.. if I make eye contact with someone I know, I start giggling/laughing! And it is contagious.. it gets to the person you are looking at and may also reach the people standing next to you or facing you! Now, do you consider this immature act? Will I still be considered a mature young woman when I do this? I dont think so.. but who cares!! LOL its funny and it help making others laugh with you! The original Banana Republic was founded by Mel &Patricia Ziegler in 1978. It was a two-store safari and travel-themed clothing company. The majority of sales came from its eccentric catalog, which presented high-end and unique items with chatty, usually fictional, back stories from exotic locations, as well as more pedestrian high-volume products deliberately spiced up with a similar treatment. The company competed directly with the J. Peterman catalog later satirized on the TV show Seinfeld. As Banana Republic expanded its retail operation, it became known for the themed decoration in its stores, often featuring authentic elements, such as real Jeeps and foliage, as well as atmospheric elements, such as fog and steam. Gap Inc. acquired Banana Republic in 1983, eventually re-branding it as a mainstream luxury clothing retailer. The eccentric tourist-oriented items were phased out and were replaced with more of the "casual luxury"-type items for which the brand is currently known. For a time, Banana Republic ate into Gap's consumer base. To set itself apart from Gap as a more up market brand, Banana Republic occasionally buys and refurbishes historic buildings for its retail locations. Today the company operates more than 400 Banana Republic stores in the US (including Puerto Rico), and 24 stores in Canada. It has also recently opened 2 stores in Tokyo, Japan. Banana Republic offers clothing in women's regular and petite sizes as well as in men's. Recently, some men's stores were converted to sell petite sizes as well. It has also recently signed franchising deals in Malaysia, Singapore, and the UAE. In 2007, the first Banana Republic store will open at the The Avenues mall in Kuwait and Grand Indonesia Shopping Town in Jakarta, Indonesia. The Banana Republic announced that it will open stores in Korea and the UK in January 2008. When I was in college, and did my laundry.. most of the time my socks would miss its match! That drove me crazy, because it happens A LOT! I just keep wondering where would all these socks go... I never find them, even if I search back again in the washer/dryer.. I thought it was me! But even when in Kuwait, where I don't do my own laundry, I have someone to do that for me.. and the socks still go missing! I plan to go back and do my own laundry now to really discover what is happening!! Where could all those socks be possibly going!! So whats the reason behind that! Is it a selling strategy and an inside job for socks' companies?? 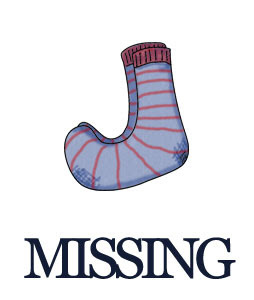 Maybe those companies are behind all those missing socks!! They just want you to buy more and more! Maybe socks come in couples and sometimes things don't work out for the best for some of'em... and so they decide to leave their match, and escape to hmmm ...errr..... socks world? Hmmm... OK so how about this: the socks' monster take them when in the dryer? And don't even ask what they do with those missing socks.. I repeat that: DON'T GO THERE looking after your socks! OK, not good enough? Then read this.... this is good, in the show "Married with Children" the theory goes beyond Socks Land and Monsters... it goes to Aliens!!! Al:  " Peg, 3 little green aliens came in and stole my socks." Peg: " Were they green before or after they stole your socks?" Oh and have you ever seen that episode from Ren and Stimpy?? Where they get sucked into a black hole? They find themselves in a bizarre dimension! Then they are suddenly compelled to follow a horrible smell! That smell turn out to be a huge mountain made up of missing socks from planet earth LOL! OK OK enough of X-Files.. I believe the main reason is that they get stuck during the cycles or get caught in the vent! OK now that we are done talking about socks.. where does all those missing pens and plug-in-sockets go? Labels: Life, Me, Problems, Why? I received this earlier by email... I was laughing the whole day! We've all been there but don't like to admit it. sure the smell has left your pants. and come back again. Be careful not to become a FREQUENT FLYER. one likes an escapee. It is uncomfortable for all involved. Making a joke or laughing makes both parties feel uneasy. office for the Out Of The Closet Pooper before entering the bathroom. conjunction with a SHIRLEY TEMPLE. bathroom immediately so the pooper can poop in peace. A poop that creates a loud splash when hitting the toilet water. on, create a diversion. See CAMO-COUGH. CAMO-COUGH with a SHIRLEY TEMPLE. crapper, as you should always wait to poop when the bathroom is empty. The King Poop = This kind is the kind of poop that killed Elvis. Bali Belly Poop = You poop so much you lose 5 lbs. flush, it's still floating in there. My God! How do I get rid of it? This poop usually happens at someone else's house. rear before it falls into the water. toilet so long your legs go numb from the waist down. when you're trapped in your car in a traffic jam. I realized I wanted to travel more.. since I have been to only 13% of the world! I just wanted to write one last post. Labels: Kuwait, Problems, Services, Why? From the outside you see a beautiful resort... in jet white and red bricks/roof.. You check the website and you see heaven; swimming pools, internet/wifi, restaurants, hair salons, room service, gym...etc..
Well... don't judge a book by its cover, cuz its hell!! bought chalets there, it was a private resort with an amazing service and beautiful sea-view. Then management changed... and well, it changed again, and again.... AND AGAIN! I wouldn't be surprised if they change is again tomorrow! This amazing resort changed into a commercial project, that would only seek MONEY! BIG MONEY! Regardless of the original contracts signed by the owners of the chalets. The beautiful sea view is blocked now by a ridiculous looking restaurant, instead of the small cafe with its friendly staff. People now would pay around 2KWD to get in! Yeah people from the outside! They come in with excess baggage! Noise and all... and they're too loud! They come in to use the facilities available (restaurant and pool... and gym too) invading the privacy of the chalets' owners. The under-ground parking lot is a disaster now! Some spots are already used for storage! I will try and post some pictures if I can. Old furniture is all around the place with some parking spot taken for other purposes (such as storage and changing rooms). They dont care about the owners anymore.. The underground parking is for the owners, whereas the one on the top is for everyone's use! So their strategy is like "Screw the owners, we just want to make money". Its really bad, because they are able to do things hidden and under-cover... no one from the outsiders can see this mess! not even the State Municipality! For example, there is a new complex being built next door.. and the underground garage saved a place for employees to come and change their clothes... so at some point it would be full with male-workers... and its not very comfortable for females to be around them! Specially in our culture!!! Also, for the purpose of making money, they do so so SO MANY special offers for chalets rental. A lot of noisy, loud, careless, party-animals, and some of them also litter and make it a big waste.... they would just come and disturb the peace. And no matter how many times you talk to security guards or management, there is nothing that you can really do about it! Business is business! They also take money for services... yeah services! whatever! They take so much money for providing "services"... services promised but never met THE standards! Welcome to Hell! The Tre Chic Hell! Sometimes when I try to sleep I get this intense feeling that I "voluntarily" want to move my leg... because I get this unpleasant sensations and aches! So I try to move around my leg(s), and sometimes move around as whole to get some relief. Then there was this one time, at band camp!! no I am kidding LOL... Seriously, this one time I googled* and yahooed** it out and next thing I know is I have Restless legs syndrome (RLS)! OK! Hold it right here!!! I have not been professionally diagnosed with RLS (by a physician)!!! So I don't belong to the Syndrome-y people just yet! Well anyway, I searched more and more about it, and found so many different names for it such as; Jimmy Legs, Jumpy Legs, Jimmy Jams, The Orchestra, spare legs, "the kicks", or sewing machine foot..... and (this is a good one) a Heebeejeebees!! I may have Heebeejeebees! Yes Heebeejeebees! I couldn't stop saying Heebeejeebees that day... Heebeejeebees this! Heebeejeebees that! Heebeejeebees!!! OK now back to the "Heebeejeebees" topic, the Heebeejeebees syndrome has no known causes, but it runs in families so it must be genetic! So I figured, what the hey! I will ask mom and dad. I was talking to them without saying its a syndrome and not telling them about my Heebeejeebees research.. as I was talking, my dad said: Yeah! I have those sensations as well! So me and dad were discussing how some people would come up with names for different diseases followed by the magical word SYNDROME! Everything now is something-syndrome! I must be just tired or overworked myself in the gym or so, and thats why I am getting those sensations, not because I have Heebeejeebees-whatta! Ok so think about it? Why is it that people make up a syndrome for everything! To me, the Heebeejeebees (or the Hooboojooboos) are rather funny cases! Its actually jaw-breaking-funny! I mean those researches and pharmaceutical and drug companies are just coming up with all those names to trick people (who should wear a sign "I'm Stupid" - refer to my older post under the title "Signs" please :-P).. all that to make money of course! So.. people are a joke, looking for a quick fix! A drug company look for those people and they keep telling them "YOU ARE SICK.. YOU HAVE A SOMETHING SYNDROME", to stay in business and make money! If you are done reading and wondering about the title of the blog "SCEAS Syndrome" it’s a syndrome for people like me and dad.. people who just want you to basically Stop Calling Everything A Syndrome-Syndrome! Get it now? *, ** Quick Note: spell check wanted me to change "googled" but was so fine with "yahooed"…. Interesting, isn't it? What doesnt Kill you makes you stronger! Right? So.. is that statement true? There are two arguments to this statement..
Say that some people get into a car accident and then are left disabled for life! Not just car accidents, but also some diseases too... Take dementia for example. A person's mental state will deteriorate... translation = it is affecting the mental state but doesn't really kill you.. and even when trying to fight it... you are not getting any stronger!! For the most part.. I think I agree... maybe when going down the hill you dont like the process, and you feel rather weaker than stronger... then when you beat it.. you become stronger... now think for a moment, what does it make you stronger for? For the next time it hits? The numbers we all use (1, 2, 3, 4, etc.) are known as " Arabic" numbers to distinguish them from the " Roman Numerals" (I, II, III, IV, V, VI, etc). 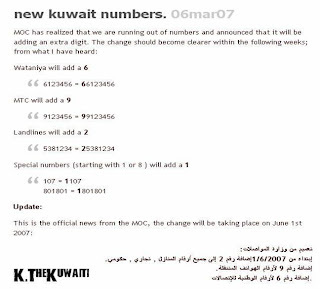 Actually the Arabs popularized these numbers but they were originally used by the early phonecian traders to count and keep track of their trading accounts. It's the number of angles. If one writes the numbers down (see below) on a piece of paper in their older forms, one quickly sees why. I have marked the angles with "o"s.
An ancient Phonecian manuscript explains this and I thought it to be fascinating. This is what they call "Fou Rire" in French.... literally means the madness laugh! I received an email at work from the PR dept. stating that there will be testing of the air raid sirens by the civil defense. As usual... the wail of those sirens brings me into a huge discomfort. Its not like I am scared of the sound or anything... but its annoying! I mean Kuwait's been through a number of crises, and those tests well hmmm they are good, but would they ever be effective and used right in case of emergency or crisis?? We have been hearing them during the American-Iraqi war numerous times. They go on indicating that danger is approaching or already happened and then within few minutes another one goes on indicating that the coast is clear and the danger has passed!! Come on!! I mean a lot of air raid siren kept us on the edge during that time, until people here got so used to them that if they were shopping in mall or walking in the street.. They just go on normally when the sirens wail... and would not really run to near-by shelters! I know that some people in the beginning would jump and freak each time the sirens go on... they'd run to the shelter with their gas masks and protection gears! And sometimes don't even get to the shelters because the danger siren is followed shortly by an "all-clear" siren!! And when real danger occurs, you don't get the warning! Actually we never get an "in-advance" or "approaching danger" sirens.. Usually they're like the danger occurred already... people! Your on your own.. You're screwed!! LOL... even better NO SIREN at all when REAL DANGER had occurred!! I still remember the CNN reporters joking about it at the time, once there was this reporter talking about the air raid siren system in Kuwait when a siren went on while he was on air and he was like: "see, its supposed to indicate danger.. but no serious danger had actually occur" and he just didn't move or run to a shelter.. and also when a missile did really hit Soug Sharg, a popular shopping mall in Kuwait, late at night! No sirens went on, but I remember I was watching a movie at home with my sister and brother in-law.. When a loud crashing/explosion- sound accompanied by the house windows shaking and rocking, which terrified the hell outta me! I was like WHAT WAS THAT! We kept switching channels to find out more about it... but No! No! No! No air raid sirens no nothing just a crashing loud explosion noise! So to conclude it all... the actual air raids in Kuwait tend to be very brief and useless in actual crisis and annoying/disturbing when they're tested! Earlier this year in January, Paul Wolfowitz had to take his shoes off when he was visiting Selimiye Mosque in Turkey. Wolfowitz may look so groomed up from head to "toe"... opss!! Should I say "toes"??? True… he is not that groomed up on the other end! Check the pictures above!! According to Today's Zaman, a daily Turkish newspaper, a Turkish Hosiery Store sent Wolfowtiz 12 pairs of socks after that visit/pictures release! Now lets think about it for a moment here.. was he wearing those torn socks for good luck as well!? Or he didn't have time to buy new ones, even better... Maybe he can't afford it?! Why didn't he take off the socks while taking off his shoes so that no one would notice! Did he want people to see that! Or he is just a show off and wanted people to see his nails done (pedicure)!? Is it Karma!? Wolfowitz is an evil evil man, and Karma just wanted the whole world to laugh at him or what!? I received this earlier from one of my college professors, a friend now if I may say, by email. Hilarious! Stupid people should have to wear signs that just say,"I'm Stupid". That way you wouldn't rely on them, would you? You wouldn't ask them anything. It would be like, "Excuse me...oops, never mind. I didn't see your sign." It's like before my wife and I moved. Our house was full of boxes and there was a U-Haul truck in our driveway. My friend comes over and says "Hey, you moving?" "Nope. We just pack our stuff up once or twice a week to see how many boxes it takes. Here's your sign." A couple of months ago I went fishing with a buddy of mine, we pulled his boat into the dock, I lifted up this big 'ol stringer of bass and this idiot on the dock goes, "Hey, y'all catch all them fish?" "No - We talked 'em into giving up. Here's your sign." I was watching one of those animal shows on the Discovery Channel. There was a guy inventing a shark bite suit. And there's only one way to test it. "Alright Jimmy, you got that shark suit on, it looks good... They want you to jump into this pool of sharks, and you tell us if it hurts when they bite you." "Well, all right, but hold my sign. I don't wanna lose it!" Last time I had a flat tire, I pulled my truck into one of those side-of-the-road gas stations. The attendant walks out, looks at my truck, looks at me, and I SWEAR he said, "Tire go flat?" I couldn't resist. said, "Nope. I was driving around and those other three just swelled right up on me! Here's your sign." I learned to drive an 18 wheeler in my days of adventure. Wouldn't ya know I misjudged the height of a bridge. The truck got stuck and I couldn't get it out no matter how I tried. I radioed in for help and eventually a local cop shows up to take the report. He went through his basic questioning..ok..no problem. I thought sure he was clear of needing a sign...until he asked "So.. is your truck stuck?" I couldn't help myself! I looked at him, looked back at the rig and then back to him and said "no I'm delivering' a bridge...here's your sign." PS: I dont have the artists' names to include. I got these pictures/paintings from the net. Orientalism is the study of Near and Far Eastern societies and cultures, languages and people by Westerners. It can also refer to the imitation or depiction of aspects of Eastern cultures in the West by writers, designers and artists. It encompasses art, music, literature, architecture and design but, as far as Oriental Art is concerned, it is characterized by its focus on a common fascination with a region rather than a movement or a style. Depictions of Islamic "Moors" and "Turks" (imprecisely named Muslim groups of North Africa and West Asia) can be found in Medieval, Renaissance, and Baroque art. But it was not until the 19th century that "Orientalism" in the arts became an established theme. In these works the myth of the Orient as exotic and corrupt is most fully articulated. Such works typically concentrated on Near-Eastern Islamic cultures. I have always appreciated Islamic art and architecture! I am also a fan of Orientalism Art. The paintings are so warm and live.. I would stand in front of one and stare for long time. It is very rich! When I was looking at one of those paintings at my uncle's house I felt the warmth. I saw live coming out of it.. it was somehow in movement! I felt the heat of the climate/desert... I swear these paintings are so live.. Some good ones can appear photographic too! They look real, and are able to take you into other dimensions.. way beyond it! As for owning one... hmm I don't really know! I can absolutely say these are amazing pieces and work of art (actually on of my favorites).. To me, they are something I would appreciate looking at and enjoy... (basically having the pleasure to simply look at without having to own it)..
My style is rather simple chic to modern.. with some art deco maybe! But if I have one of those painting, I know I would create the atmosphere for it in a corner of the house to compliment the whole look... so to speak! I will add another post with more paintings later today. OK, so I am in the transition stage still! I was a PC user my whole life and I switched to Mac last Sunday :-) So far, so good.. I am liking it more by the hour but still need to learn more to adjust to the new machine. To be honest, I have dabbled with Mac before, but never was a regular user on a non-window system.. and so the switching and transition is somewhat overwhelming to me LOL. So, I picked up my cousin from school and we went together to get it from Marina Mall.. She is a Mac user and has been convincing me to get one. She is stuck with me now LOL, she will be my hotline for MacBook Q&A! We got there at around 5:45PM and left the store at almost 6:30PM when it was almost time for her to get back to school... I went back home and charged the battery and rushed out to Thai Chi for dinner with friends.. I was thinking throughout dinner about my Mac, but its just been a long day since I wake up every morning at around 5:50AM and go to work (7:30AM - 3:30PM). After dinner I got home and I was beat.. couldnt do much with my Mac but fiddling a bit with it heehee. As far as I can tell now, the Mac is such a delight... light and easy to carry around. The keyboard buttons are so smooth and easy on the fingers! Well today.... hmm I may try the DVD player.. will see how that goes with all, the quality of the picture and sound system!